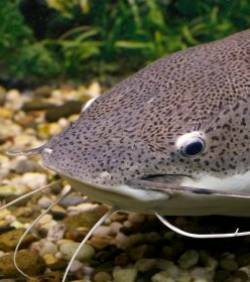 Published in the journal Nature, a British study shows that in communities catfish apparently identical rivers of tropical America, is hiding in various species. It highlights the mimicry, but also the fragile biodiversity in these species face the pressures of human activities in the region. In each river in South America where it was thought out a certain species of catfish of the genus Corydoras, in fact hides a large number of different species of this group have adopted during evolution , shapes and colors the same, finding there may be a mutual benefit. This was discovered by researchers at the University of Bangor (Wales). Biodiversity unexpected challenge that needs preservation measures, these fish have different needs, despite their striking resemblance. « Although these fish are apparently identical, our in-depth assessments of their genetic relationships, their diet, their morphology and colors, revealed that 92% of the communities we sampled include species that do not compete for resources, « said Markos Alexandrou, PhD student at the university. « In addition to biodiversity and little known interesting evolutionary system revealed by this study, this reinforces the urgent need to conserve and manage ecosystems in South America to avoid the loss of several species on the verge of being discovered and described « Complete Claudio Oliveira, the Brazilian agency . ‹ PrécédentLes poissons-chats tropicaux plus d’espèces à sauvegarder que prévu! Suivant ›Astronomers Find 90% More Universe!